MRB Recruitment 2017 2018 for 744 Assistant Surgeon Posts Apply Online. MRB Assistant Surgeon (Speciality) Jobs Notification 2017 Released. 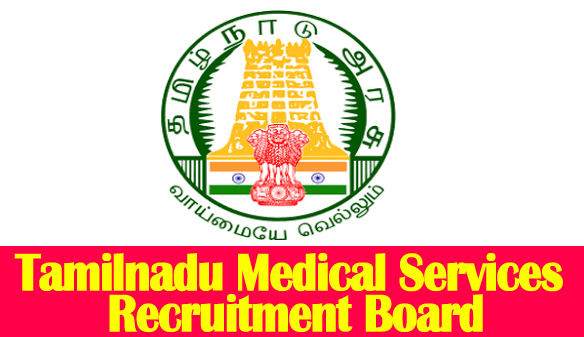 MRB invites on-line applications for appointment in following Assistant Surgeon (Speciality) post in Medical Services Recruitment Board. Candidates are requested to apply on-line through Official website www.mrb.tn.gov.in. The last date for submission of Online applications is 10.10.2017. Prospective candidates will have to apply before carefully reading the advertisement regarding the process of examinations and interview, eligibility criteria, Offline registration processes, payment of prescribed application fee/intimation charges, MRB pattern of examination, MRB Syllabus, MRB Question Paper, MRB Admit Date Release Date, MRB Exam Date, MRB Result Date etc. and ensure that they fulfil the stipulated criteria before Applying. i. Must be a registered practitioner within the meaning of the Madras Medical Registration Act, 1914.
ii. Must have served as House Surgeon (CRRI) for a period of not less than twelve months. iii. Candidate should have registered his/her name in the Tamil Nadu Medical Council on the date of this notification. iv. If a candidate claims that the educational qualification possessed by him / her is equivalent though not the same as those prescribed for the appointment, the onus of proof rests with the candidate. v. Candidate on the date of the Board’s Notification for the post should possess adequate knowledge in Tamil. Candidates who do not possess an adequate knowledge in Tamil may also apply. If selected, they should pass the Second Class Language Test (Full Test) in Tamil within a period of two years from the date of their appointment, failing which they will be discharged from service. (i) Others’ (i.e. candidates not belonging to other than the categories referred to in Sl. No. a. above).